VIRUNGA NATIONAL PARK, Democratic Republic of Congo — On the verdant savanna of Virunga National Park, a herd of elephants clustered near an umbrella-shaped acacia tree to seek shelter from the blazing morning sun. From a Cessna far above, the giant animals looked like brown-gray miniatures. 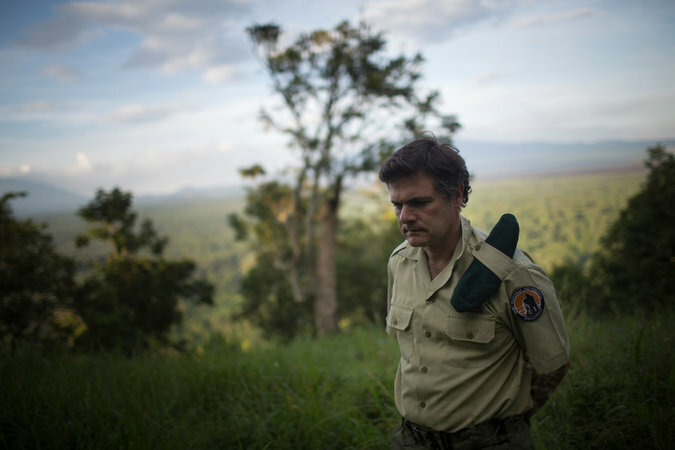 Emmanuel de Merode, the director of Virunga National Park, piloted the plane. He wore a Virunga park ranger uniform and had his green beret tucked into the shoulder of his khaki shirt. Mr. de Merode flew over the dazzling 50-mile-long Lake Edward, then descended to a grassy airfield flanked by palm trees. On this day, the flight was his commute. “It’s the best job in the world,” he said. Mr. de Merode was visiting a small hydroelectric power plant — built more than four years ago with an investment from the European Union — that has lofty goals. It powers a soap factory, providing jobs and a market for local palm oil. It supplies electricity to homes, reducing the need to illegally chop down Virunga’s trees to make charcoal. Ideally, it will spark entrepreneurship among carpenters, tailors and others whose businesses struggle to exist without electricity. In short, the tiny power plant is crucial to an ambitious attempt not only to protect Virunga — Africa’s oldest national park — from threats including armed rebels, deforestation and oil prospectors, but to jump-start the local economy and potentially help stabilize one of the world’s worst conflict zones. The challenges are immense. In the past two decades, a civil war and feuding insurgents in the eastern part of the Democratic Republic of Congo have resulted in the deaths of 5.6 million people, making the ongoing conflict the deadliest since World War II. Another hydroelectric plant — funded largely by Howard Buffett, a son of the billionaire businessman Warren Buffett — began operating nearly two years ago on the southern edge of Virunga, and four more are planned near the park. But most basic services and infrastructure in eastern Congo are crude or nonexistent. Only 3 percent of the region has electricity. Across the entire country, which is the second-largest in Africa and the size of Western Europe, there is scarcely 15 percent electrification for a population of 80 million. This is a problem across the continent. Low electrification rates “hamper Africa’s development,” the United States Agency for International Development said in a report last year. Mr. de Merode, who is a Belgian national (and a Belgian prince), became the director of Virunga in 2008, the first non-Congolese to hold such a position. He was born in Africa and has spent most of his life here. Work conditions are treacherous. In 2014, he was ambushed near Virunga and shot in the stomach and legs. The attackers were never found, and their motive was unclear, although many groups oppose Mr. de Merode’s conservation efforts, which disrupt the status quo. There’s much at stake in Virunga and eastern Congo. The park itself is a Unesco world heritage site covering an area roughly double the size of the state of Rhode Island and Africa’s most biodiverse national park. A third of the world’s remaining 800 mountain gorillas live in its forests, not far from Mount Nyiragongo, an active volcano topped with one of the world’s few surreal lava lakes. Hippos wallow in Virunga’s rivers, and the park is home to 2,000 plant species, as well as elephants, antelopes, warthogs, giraffes and the rare, elusive okapis. But the region is under intense pressure from a growing human population, and Virunga could provide land, food and fuel that those people desperately need. That puts its mission to preserve habitat for gorillas and other creatures, however noble, on a collision course with practicality. Mr. de Merode makes the case that the park is more valuable as a protected area. The economic value of Virunga was estimated at $48.9 million annually in a 2013 report by the World Wildlife Fund. Under ideal circumstances, its value has the potential to reach $1.1 billion a year, including direct uses such as tourism, fisheries and hydropower. It could also be the source of more than 45,000 jobs. However, deforestation is one of Virunga’s biggest threats. For cooking fuel, 97 percent of people living near the park rely on charcoal made by chopping down the park’s trees and slowly roasting them into carbonized chunks. The practice is illegal. Yet Congo’s charcoal industry is worth an estimated $35 million and helps fund deadly insurgents who hide in Virunga’s forests, according to the Enough Project, a Washington nonprofit that focuses on Africa. In theory, hydropower could reduce reliance on charcoal cooking fuel, although this is easier said than done. Cutting down forests also contributes to global warming by releasing the carbon stored in trees. Deforestation has contributed about 11 percent of the world’s greenhouse gases. Virunga plays an important role in offsetting carbon emissions. The park and plantations in the province are second only to the Amazon in terms of total forest area, according to the W.W.F. After the country gained independence from colonial Belgian rule in 1960, corruption, political instability and bloody conflict wracked the country, which is one of the poorest in the world. It was ranked 176 out of 187 countries on the United Nations’ Human Development Index in 2015. Roads, electricity and running water are scant. Without this basic infrastructure, economic growth is severely stunted. Electricity is necessary to run grain and lumber mills, to process palm oil or fruit juice, to operate cement plants and brick factories — to build pretty much anything modern. In the past, hydroelectric power plants funded by Catholic charities or other nonprofits weren’t properly maintained. And there were some scams in which businesspeople collected money from villagers, then ran off with the funds. But eastern Congo has enormous agricultural potential. The country has one of the world’s largest areas of arable land. It “has the potential to become the breadbasket of the entire African continent,” according to the International Food Policy Research Institute. However, farmers have a hard time eking out a living because they lack modern agricultural resources such as quality seeds and fertilizer, not to mention roads, cold storage and other infrastructure to get goods to market. And agribusinesses cannot run without electricity. The country is so ill-equipped to deal with its farming potential that most of its agricultural goods are processed outside the country. All its cooking oil, for instance, is imported. And palm oil from Congolese farmers is exported to neighboring Uganda, turned into soap, and then imported back to Congo at higher prices. Tourism is another way Congo could create jobs and boost its economy. Mountain gorillas reside in only three countries: Rwanda, Uganda and the Democratic Republic of Congo — and tourists pay good money to see them. To see Virunga’s gorillas, park permits and transportation alone cost about $600. But violence has limited the potential here. During a burst of war in Congo between 2004 and 2009, insurgents invaded and occupied Virunga. Tensions eased, and tourism surged in 2010 and 2011, when Virunga’s new luxury lodge opened. That year, Virunga hosted 5,000 tourists and earned more than $1 million. But then, in November 2012, the rebel group M23 took over Goma, the provincial capital of North Kivu, where the lucrative gorilla and volcano tourism is based. For more than a year, Virunga was closed to visitors. The park reopened in January 2014 amid fragile stability. 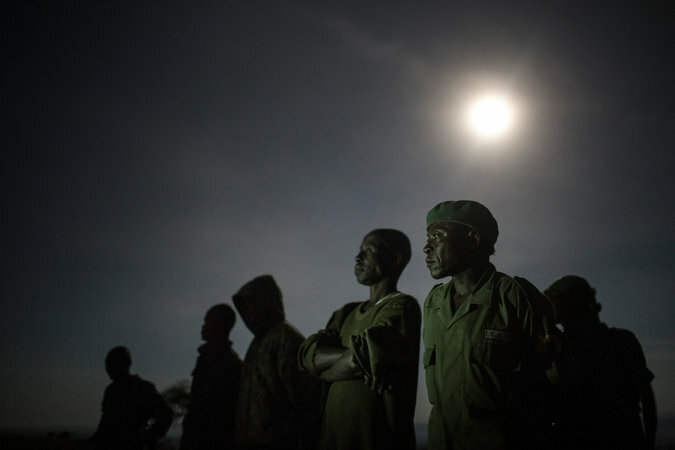 An alphabet soup of a dozen rebel groups and militias still plague Virunga, which they use as a hide-out along the country’s porous, unpatrolled borders with Rwanda and Uganda. Most international governments have issued travel warnings for eastern Congo. Tourists must travel to, from and within the park with armed rangers. Still, tourism for Virunga National Park alone earned more than $2.4 million last year. Thirty percent goes to communities surrounding Virunga, and the rest is divided between Virunga’s conservation and funding for the country’s national park service. TOURISM AFFECTS LOCALS, such as Tumaini Boscon, who lives near the Nyiragongo volcano. The tall 23-year-old makes about $30 a month farming beans, potatoes and cabbage. When tourism returned to Virunga, he started working as a porter carrying tourists’ backpacks up the volcano for about $11 a trip. The five-hour trek is exhausting, but with his earnings, Mr. Boscon bought some goats. A $50 tip from one generous tourist allowed him to buy a small piece of rocky land. Other than farming and tourism, “there’s no hope of other jobs,” Mr. Boscon said. He wanted an education, but there was no school in his area when he was growing up during Congo’s civil wars. Isaac Sadiki, 24, was the only volcano porter with a university degree. He admitted some might find his work humiliating because he’s a college graduate. But, he explained, “It helps me earn some money. I cannot be part of militia.” Like most rural people here, he has been a victim of violence. Mr. Sadiki was 8 years old when rebels attacked his family at their home near the Ugandan border and brutally beat his mother. Mr. de Merode argues that jobs would prevent idle, poor young men from joining militias. Economic development is “the only way of overcoming conflict,” he said. However, that is an idealistic vision that doesn’t always work. “Peace without economic development is impossible, for sure, but economic development does not automatically build peace. It can even undermine it,” Phil Vernon of the advisory group International Alert said in a published interview. And of course, there are the day-to-day challenges of running power plants in an unstable, poor and corrupt country. The two existing plants offer lessons in trial and error. Mr. de Merode was flying to Mutwanga, a small town outside Virunga’s northern border. There, a modest concrete building houses one German-made turbine spun by the coursing waters of the Butau River. Outside, where the distant white glaciers of the Rwenzori Mountains loomed in ghostly silhouette, Mr. de Merode strode along a narrow channel that diverts water into the powerhouse. This $2 million pilot plant is a run-of-the-river design, which means it does not use dams and minimizes the impact on the environment. A couple miles away, at the other end of town, is Sicovir, a soap factory that opened in April 2016. It is the first and only factory in the area — and the only source of formal employment here. Leonard Maliona is Sicovir’s managing director, and his family has invested in the factory. A young Congolese man in his early 30s, Mr. Maliona walked across the floor of the gleaming facility and pointed out boilers and pressing machines that squeeze oil from palm kernels. The waxy smell of soap permeated the air. Sicovir has the potential to produce tons of soap in one day. A hundred people work here. For all its promise, though, Sicovir is hampered by a lack of electricity. The water levels of the Butau River have been lower than projected, in part because of unexpectedly lower rainfall. So the power plant generates less than one-quarter of its promised 380-kilowatt capacity. It’s enough to give electricity to more than 500 households in town (more than 2,500 people), the local hospital, streetlights and 40 small businesses, such as hair salons and phone-charging kiosks. The power it generates is a boon to an area where the hospital once used flashlights. But it is not enough to run Sicovir’s heavy machinery — boilers, steamers, presses. As a result, the factory relies on diesel generators. Selling Sicovir’s soap is also a challenge. Bad roads make it difficult to collect palm oil from local farmers. Businesspeople are targets for extortion and robbery. Running the factory is “very stressful,” Mr. Maliona said. 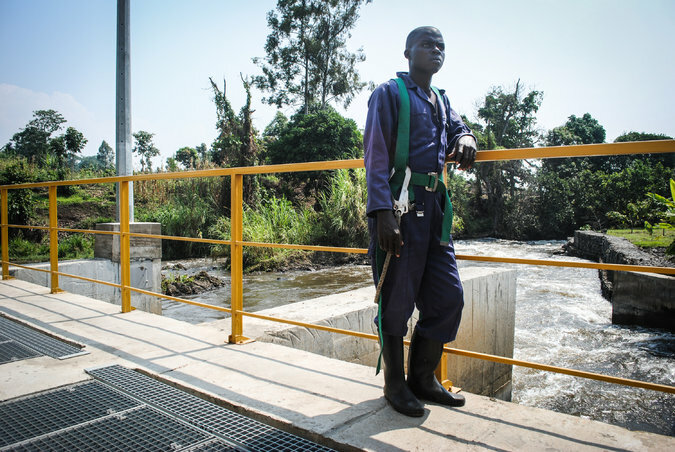 Hundreds of miles away in a town called Matebe, outside Virunga’s southeast corner, sits the park’s second run-of-the-river plant, which began operating in December 2015. It can generate more than 13 megawatts of electricity from the much larger Rutshuru River. The hilly landscape means a taller vertical drop and more energy when the river water is funneled through three turbines. One morning, Matebe’s power plant bustled with activity. Hammers pounded and saws shrieked. The plant employs more than 600 people. Engineers built the plant with about $20 million from Howard Buffett. Mr. Buffett, who has long been interested in wildlife conservation, approached Virunga out of the blue. “I didn’t even know who he was,” Mr. de Merode said. Jobs are precious in this area, where there are few schools. “Every day people are queued up outside for work,” said Sandrine Eeman, the engineer in charge of networks for Virunga Energy, the park’s private utility division. Human resources were a challenge, but engineers and technicians were hired from different parts of Congo, and locals were trained and hired for jobs requiring less expertise. Jackson Bakinahe Ndemeye, 25, started as a casual-wage construction worker in 2014 and worked his way up. Today he helps maintain the valves that control water flow from the river. Although this power plant was built under budget and ahead of schedule in less than two years, it has its share of challenges. Transmission and distribution lines are still being built, so only 2.5 megawatts of Matebe’s 13-megawatt capacity are being used. Its electricity primarily powers the plant’s offices and facilities, Virunga’s tourist lodge and grounds, as well as rural streetlights and homes in some nearby villages. That’s due partly to funding. Virunga needed money to build 20 miles of power lines to the city of Goma. A year ago, CDC, the private sector arm of Britain’s Department for International Development, pledged $2.5 million for that next phase. Transmission and distribution, and getting customers to pay, are some of the biggest challenges for energy companies in developing countries. So far, some 3,000 households have paid to connect to Matebe’s power plant, which will deliver electric service for more than 15,000 people. At least thirteen villages have streetlights, and more were scheduled for connection this spring. 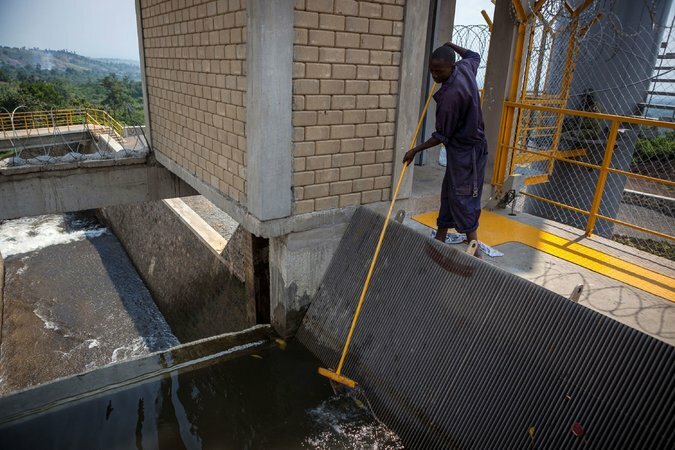 Virunga aims to eventually connect 4,000 households to hydroelectricity. It costs a relatively hefty $292 to connect to the electrical supply and then $5 to $10 each month for 3 to 10 amps of electricity — enough to power a few light bulbs and charge mobile phones. It’s pricey for a rural family, but in the long run, the electricity is cheaper than conventional fuel. “People are poor, but energy is not as expensive as you imagine,” said Ephrem Balole, the chief executive of Virunga Energy. For cooking, the average low-income rural household each month uses two sacks of charcoal, which cost $15 each. Families spend at least $5 each month for kerosene used for lighting. Michael Karonkario, 39, lives in a small house in the village of Ruchiro, where he is a caretaker of the area’s mobile-phone antenna. He was one of the first in the village to connect to the new electrical service. His six children can now study at night, he said. There are some concerns that people are too accustomed to cooking with charcoal and will be reluctant to switch to electricity. So Virunga plans to give free electric hot plates to people who connect to the supply. Mr. Karonkario, for one, didn’t want to wait, so he got his own hot plate. It “heats up faster than charcoal and doesn’t make the kitchen as hot,” he said. Giving rural people access to electricity is part of Virunga’s mission, but only a small part of its business plan. The medium and large businesses are crucial to making Matebe’s hydropower financially sustainable. Virunga Energy has received about 100 applications from local businesses who want electricity to run corn, cassava and sugar mills, juice and confectionary factories, garages and welding services, beauty salons, bakeries, carpentry workshops, brick works and more, said Mr. Balole of Virunga Energy. Some applications are from existing small businesses that want to expand, while others are just starting. Entrepreneurship is a fledgling concept in this conflict zone, which is accustomed to receiving aid money, but Mr. Balole isn’t worried about that. “Businessmen are skilled,” he said. Some nuns have already started a sugar cane plant, he pointed out. Harnessing mass demand in the city of Goma is a bigger task. Its people now use just 5 megawatts of electricity — not enough for this city of one million. Power outages are common. Goma needs 40 to 50 megawatts, Mr. Balole reckoned. But the city’s electricity is controlled by the government utility company, and Virunga Energy could not get a distribution agreement for the city. To get around that hurdle, Virunga Energy organized a consortium of large businesses in Goma to prepurchase $2 million of electricity. They include cement, coffee and mattress factories, cold-storage facilities, hotels and others. These businesses want a steadier, more reliable supply than the shaky government one, whose irregular currents destroy machinery and equipment, Mr. Balole said. That money is helping to build power lines to Goma along an inhospitable dirt road, which is rutted with volcanic rock. Virunga Energy received another boost for that project with CDC’s investment last year. The 10-year loan is the province’s only development investment since the mid-1980s. If the rollout goes well, CDC will loan another $6.5 million for construction of two new run-of-the-river hydroelectric plants just outside the park that would generate 35 megawatts. For these plants, Howard Buffett is funding approximately $39 million and the Belgian government $4 million. 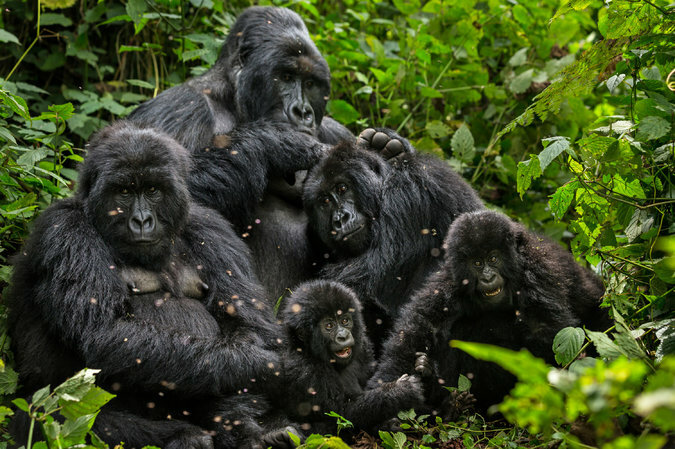 Virunga’s unusual management team was also a positive factor. “A company that’s running a national park founded an electricity company — it’s incredible. Hats off to them,” said Martin Illner, an investment director at CDC. Then there are the daily challenges of running a business in Congo: dealing with government officials who demand bribes, getting bureaucratic land concessions and licenses, working with everyone from local chiefs and villagers to investors and donors. As Mr. de Merode piloted the Cessna south to return to the park’s headquarters, he recounted some of the lessons he learned as a park director who unwittingly spearheaded energy and business development. “If you spread yourself thin, you do it quite badly,” he said. Before the current business plan, Virunga also built health centers and schools. It now leaves that work to the European Union, nonprofits and other groups. The list of Virunga’s complex challenges is long: illegal trafficking of charcoal and fish, corruption, political instability, rebels, armed conflict and violence (some 160 rangers have been killed while on duty over the past decade; three died this month during an attack by a militia group).